The Revenant continued her purple patch of form in winning the Class B Handicap over 1,280 metres at the Orange Picnic Meeting this afternoon. Ridden very well by Annelise King, The Revenant had a half-length to spare on the line. 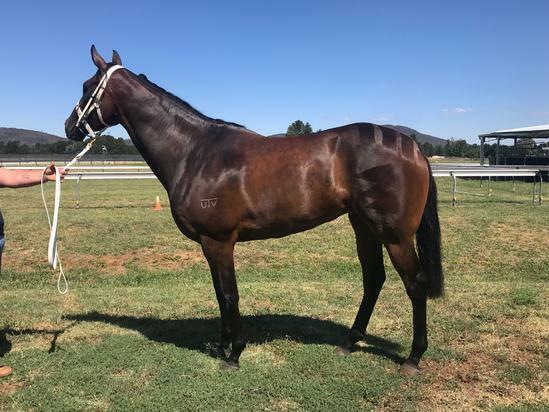 In winning, she again showed that weight is not an issue for her, as she had to carry 63.5kg (she carried 65kg to win her Maiden at Gosford two starts back). The Revenant has not finished further back than fourth in her seven starts for the stable which is a testament to Luke's planning and placement to get the most out of his horses. Photo: The Revenant - The "Winx" of the Picnics!! !